You've got me spinning round! 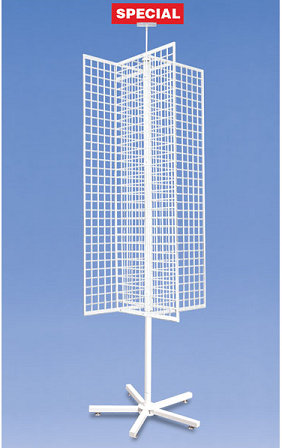 This White 4 Way Grid Spinner revolves to create an easy way for your customers to quickly have a 360 degree view of items. Fill with jewelry cards or place items on hooks (not included). 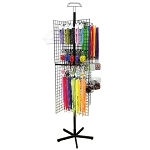 With a very small amount of floor space you can present a large amount of merchandise on this display rack. Also available in black. Order today! I love this rack. It was so easy to assemble. It holds a lot of product and LOVE that it rotates. I have already ordered another spinner rack and should be here in a couple of days.